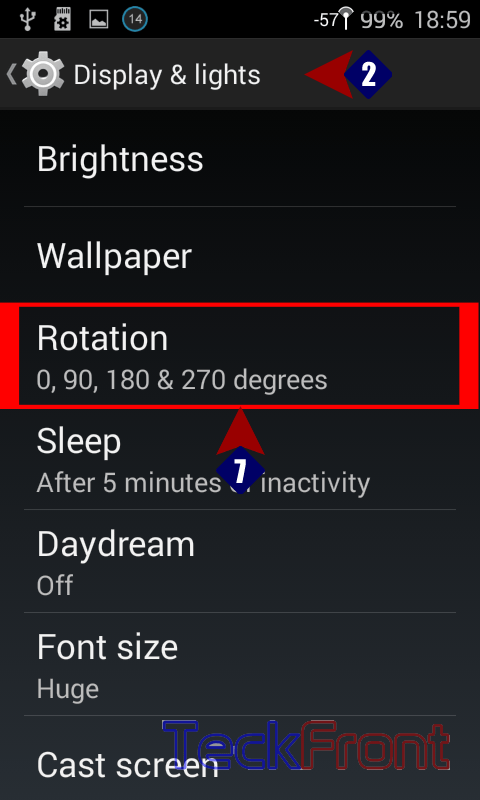 How to Set the Degree of Screen Rotation in Android KitKat 4.4 Phone? Screen Rotation is a feature which can be used by users for multipurposes. 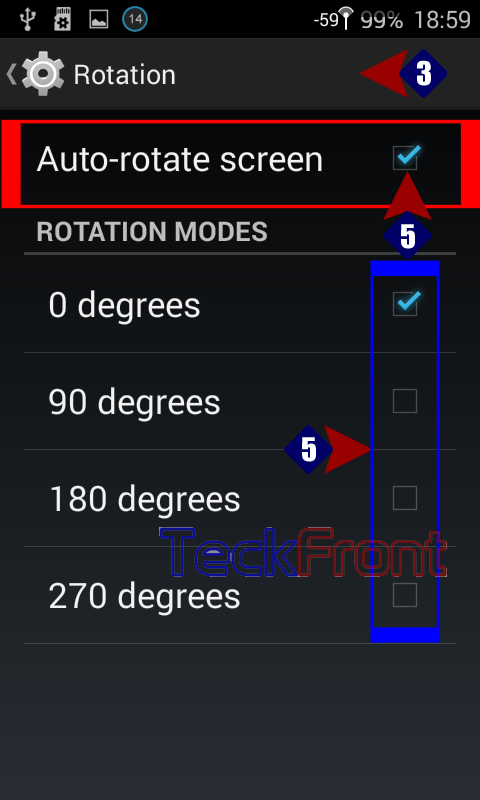 Screen Rotation can be set by users for many degrees as per the desire and / choice of users. 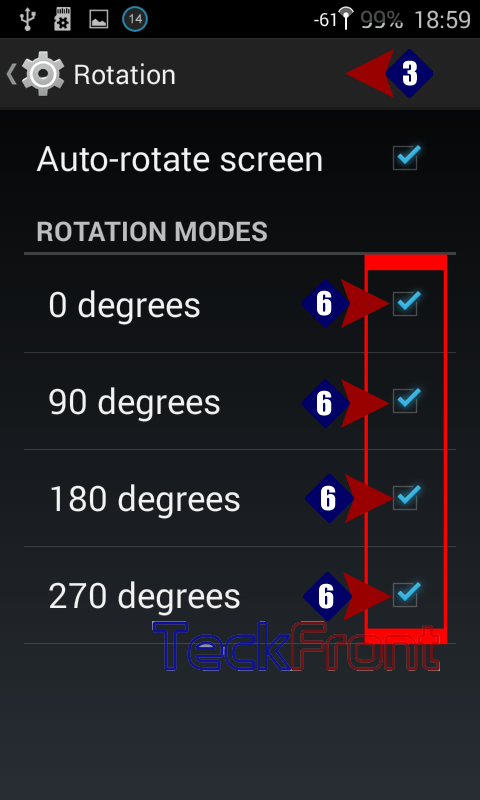 Follow the instructions to set the different degrees for the screen rotation. 1: Tap ‘Settings’ to open. 2: Tap the ‘Display & lights’. 3: Here, see the status of Rotation is ‘Disabled’. Tap the ‘Rotation’. 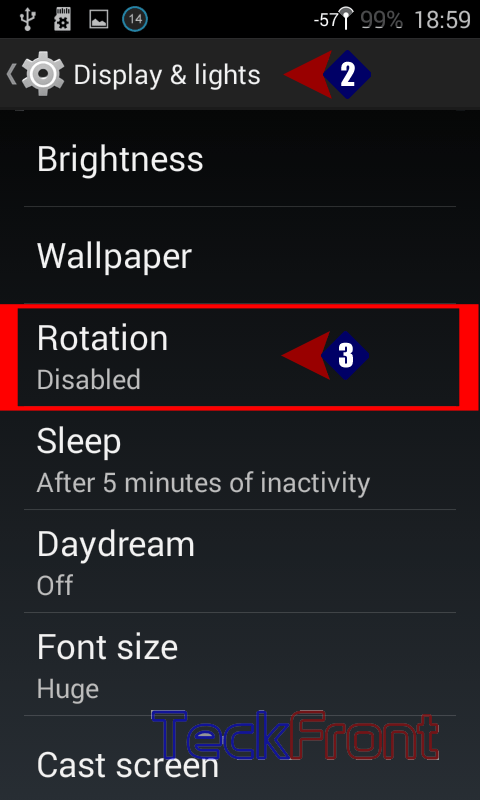 4: See the ‘Auto-rotate screen’ under the ‘Rotation’ is unchecked and disabled. Whole the menu below the ‘Auto-rotate screen’ is also disabled. 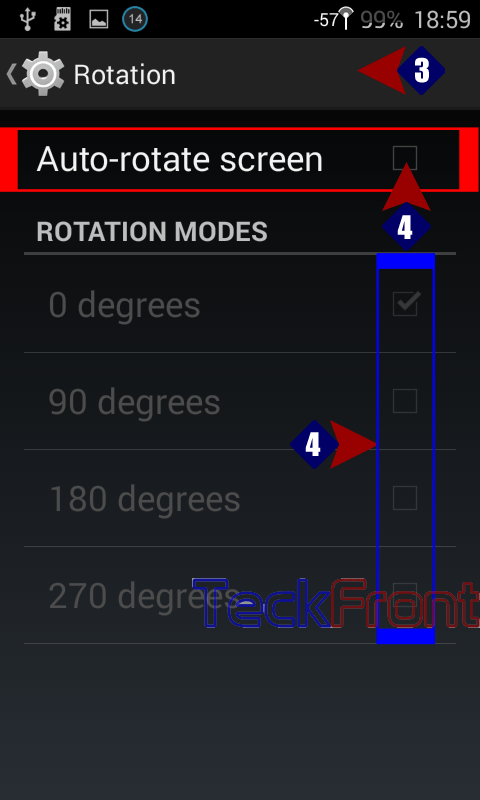 5: Tap the ‘Auto-rotate screen’ to check and enable it. See all the items in the menu below the ‘Auto-rotate screen’ becomes enabled. 0 degree is checked and enabled but all the other degrees are unchecked. 6: Now, tap all the items, i.e. 90 degrees, 180 degrees and 270 degrees to check and enable. 7: Go back to previous screen of ‘Display & light’ and see the status of ‘Rotation’ is captioned as, 0, 90, 180 & 270 degrees. Now, you may rotate your phone to all directions. Even you may rotate your mobile to 360 degree and the see the screen is always straight. 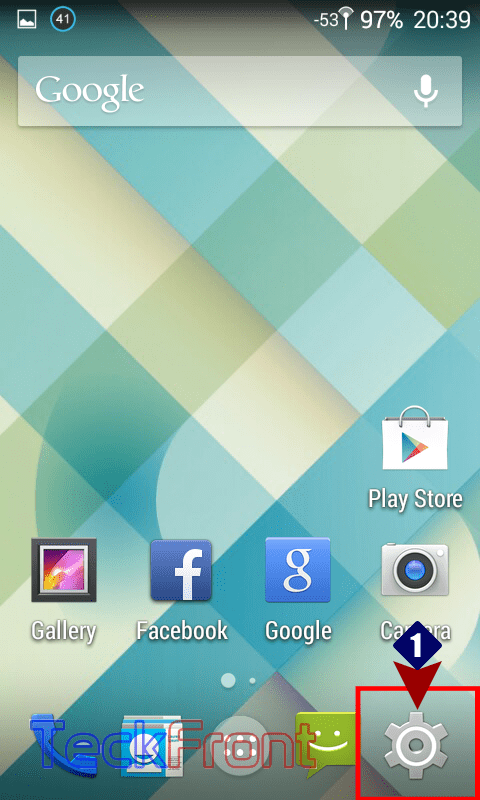 Newer How to Set Wallpaper of Android KitKat 4.4, Quickly, From Home Screen? 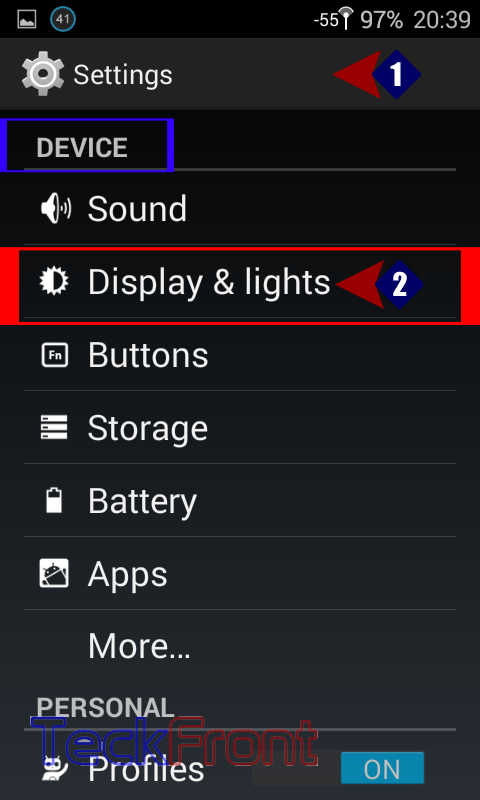 Older How to Enable Screen Rotation from Tiles & Layout in Android Phone? How to Operate Screen Time To Manage Allocated Time for Family in iOS 12 Devices? How to Open up Power Options to Set Options of Power Menu in Windows 10? How to Enable Auto–Capitalization in Android & Google Keyboard in Android 4.4.4 KitKat? How to Show Navigation Bar On Screen of Android Marshmallow Smartphones? Setting Network Default Caller ID to Display in Android 5.1 Lollipop? How to Delete, Copy or Forward Messages in Messenger App of Android 5.0 Lollipop?